Home Sport News Azubuike Okechukwu Becomes U-23 Eagles Captain. 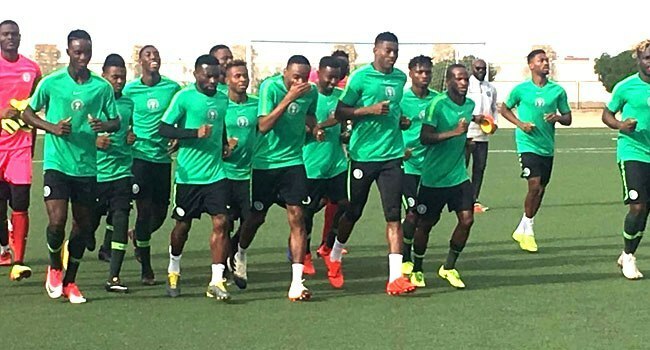 Nigeria’s U23 captain, Azubuike Okechukwu expressed joy towards his effort to have led the team to qualify for the final round of the U-23 Africa Cup of Nations qualifiers. Accordingl Okechukwu was stated to be outstanding for the Olympic Eagles over two legs as they defeated Libya 4-2 on aggregate. The Rizespor midfielder will be looked upon to inspire the U-23 Eagles in their final qualifying round tie against Sudan for a place in the group stages of the 2019 U-23 Africa Cup of Nations tournament billed to hold from November 8 to 22 in Egypt. Sudan booked a date with the U-23 Eagles after holding Kenya to a goalless draw in the second leg of their first qualifying round fixture at the Kasarani Stadium in Nairobi on Tuesday. The Sudanese advanced 2-0 on aggregate. Sudan will host the first leg on June 5 with the reverse fixture billed to hold in Nigeria on June 9.